By advertising with us, you have the benefit of reaching thousands of African professionals, graduates and skilled manager in the UK and overseas. 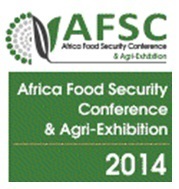 Our target market is skilled professionals of African origin with experience of working in developed markets. Although targeted at professionals of African origin in the UK and the Diaspora, a significant percentage of our readership is also based in Africa. In a recent survey, 80% of our readers responded that they are planning to return to Africa to live and work. For these readers, their primary interest is to identify career and business opportunities that will give them a chance to work within their home country or another African country. African professionals offer a rich pool of diversity and skills for employers, businesses and institutions in the UK as well as in Africa. In the UK today, black Africans are the fifth largest ethnic minority group in the UK and represent over 10% of the non-white population. We can help you promote your career opportunities to professional managerial talent as we reach a global audience of Africans and other professionals with an interest in Africa. We reach our readers through a variety of means including ReConnect Africa newsletters which are sent out to a subscriber base in excess of 10,000 people twice monthly. Through our web links and contacts with African professional networks and associations overseas, we also reach a wide audience of readers, while many people also come onto our website through search engines such as Google and Yahoo. Articles from ReConnect Africa are also published in print publications and on professional websites for Africans within Africa and around the world. These include a range of professional and business networks and associations as well as job sites and career and leadership related publications and websites. 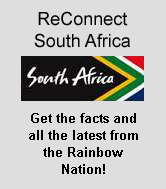 ReConnect Africa.com receives an average of 10,000 hits per day and is highly placed on Google and other search engines. On the Alexa Traffic Rank (an online service that measures the approximate traffic for millions of sites on the Internet), the website ReConnect Africa.com has a ranking of 1,496,755 which is in the top 12.47% of all web sites. By advertising your vacancies on our ReConnect Jobs listing (one of the most frequently visited web pages on ReConnect Africa), you will be able to reach thousands of African professionals directly from our website and through our affiliate links. You can either upload the job information directly or forward it to us for uploading on ReConnect Jobs. Contact us to find out about our special offers and available discounts. 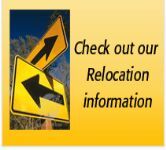 To check on the information we will need to upload your vacancy, please go to: index.php?option=com_jobposting&task=list ? An advertising banner on the ReConnect Africa website that links directly to your company or service website will serve to drive traffic from our readers and subscribers directly onto your chosen webpage and give prominence to your job vacancies, products, services or events. Contact us to discuss how we can assist you with the most effective placement of your advertising banner. Placing your advertising banner on our twice-monthly newsletters sent out to our subscribers will enable people to click directly onto your website and view your job vacancies, products, services or event. 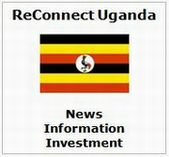 A copy of a ReConnect Africa newsletter can be provided on request. Have you got a story that you want to share about your company, services or products? Do you want to enhance your employer brand, address misconceptions, raise awareness of your achievements or increase visibility for your forthcoming conference or event? Unlike conventional job sites, in addition to advertising job vacancies, ReConnect Africa is uniquely placed to tell the story of your organisation and to share its successes with our readers. This can be achieved through an advertorial article in ReConnect Africa's monthly magazine which is sent out as a newsletter to over 10,000 readers twice a month. Such an article(s) would focus on the benefits of your organisation and could include case studies or examples of success. Articles can either be submitted to us for editing in our house style or we could write an article for you based on questions that we would submit to your organisation. An advertorial article is featured on the ReConnect Africa website home page and newsletter for one month and is retained on the website thereafter. 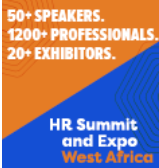 A banner on our Top Employers/Top Recruiters web page will give your company a cost-effective platform to attract African professional talent across Africa and in the Diaspora. A click-through banner will highlight your company's profile and activities and take our readers and subscribers straight to your company's recruitment website or onto your current vacancies. The ReConnect Jobs portal has supported leading equal opportunity companies to advertise professional job vacancies in the UK. ReConnect Africa has supported national and international companies operating in Africa to attract and recruit skilled Africans in the Diaspora. Since its launch in 2006, readership of ReConnect Africa magazine alone has grown to a direct subscriber base of over 10,000 people who receive twice-monthly newsletters. Through links to African professional groups and network sites, University and Business School alumni sites, Diaspora organisations and many other websites, the ReConnect Africa.com is highly placed on Google and other search engines. Why Should Your Business Engage with our Readers? Strategic Marketing. Competition has intensified over the last decade with businesses increasingly seeking to identify new customer groups and talent pools to gain a competitive advantage. African professionals in the UK and across the Diaspora present an attractive and high value market for businesses and services in Africa targeting non-resident Africans in the Diaspora. Investment Community. In a survey of our readers and subscribers in the Diaspora, 80% of respondents plan to return to work in Africa within the next 2 years. Our readers have a long-term interest in pursuing business, investment and career progression as a means of returning home. Educated Talent. Black Africans are one of the fastest growing of ethnic minority groups in the UK, having more than doubled in size between 1991 and 2001. A recent census report reveals that black Africans are now the most highly educated members of British society, with over 26% holding academic qualifications higher than "A" or college levels, in comparison with only 13.4% for white adults in British society. Aspiring Market. In 2002, 44% of 18 year old Black African students were working towards a qualification compared with 18% of White students and 32% Black Caribbean. Diversity Business Benefits. Companies in the UK have reported an increase of up to 30% in those businesses where their staff more closely reflects the ethnicity of the local customer base. Our readers offer your business experienced talent that – quite literally - speaks the language of your customers. We work closely with our clients to design an advertising package that will impact on your target market and take account of your budgetary constraints.